Our beautiful Saxon range of railings and gates come in a variety of shapes and sizes so that you can create the perfect look for your home. As well as creating the right impression, the fleur-de-lys spear finials that top the gates and railings can also improve the security of your home. 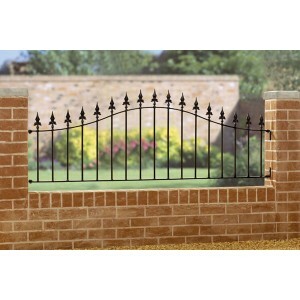 The simple yet elegant design is a popular choice for both town and country gardens. The Saxon range can be purchased with a choice of either a primed or galvanised and powder coated finish to reduce maintenance. 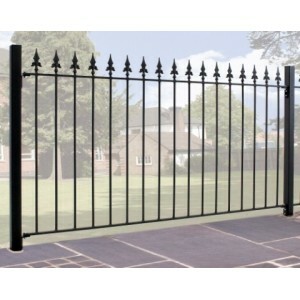 Once you know which products you require, you can take advantage of our free delivery and receive your new solid-steel gates and railings within ten working days. 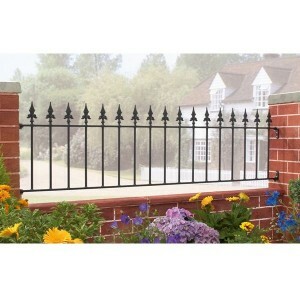 The Saxon Arched Railings are constructed using solid steel giving a traditional wrought iron railin.. 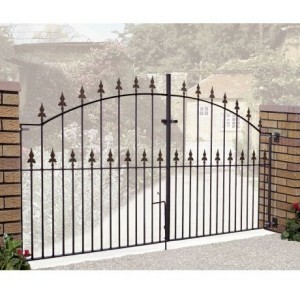 The Saxon Double Gates are constructed using solid steel for a traditional wrought iron gate appeara.. 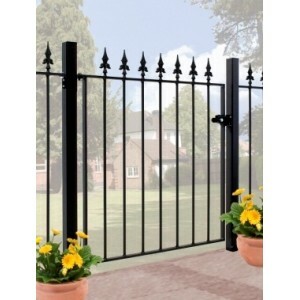 The Saxon Flat Top Double Gates are constructed using solid steel for a traditional wrought iron gat.. The Saxon Railings are constructed using solid steel giving a traditional wrought iron railing appea.. 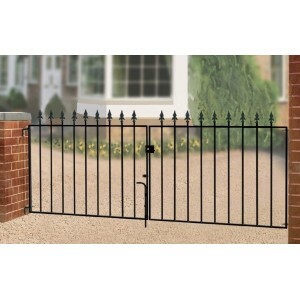 The Saxon Single Gate is constructed using solid steel for a traditional wrought iron gate appearanc.. 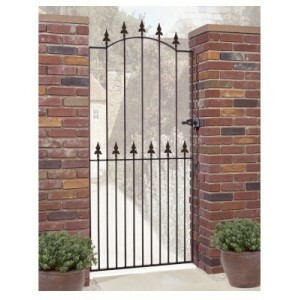 The Saxon Tall Single Gate is constructed using solid steel giving a traditional wrought iron appear..